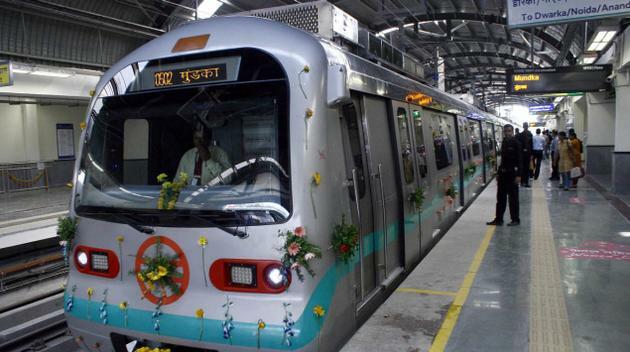 This is the second and final day of your sightseeing tour of Delhi by Metro. Click the link to learn about the doing Delhi Sightseeing by Metro Day 1. On the second day, start your day early as usual and today you can take a trip on the Violet line and the Blue line on Delhi metro. These both lines run through some important historic monuments and religious places. Start your journey from the Central Secretariat Station on the violet line going towards Badarpur. Alight at Khan Market metro station. Khan Market is a popular shopping destination in Delhi where tourist can shop for goods and souvenirs. It is also home to a lot food joints, restaurants, cafes and street food stalls. Distance: approximately 1 km from Khan Market metro station. Timings: Open from Morning to Night. Day closed: A few shops may be closed on Sunday or on Monday. Purana Quila(Old Fort) is one of the oldest fort amongst all forts in Delhi. The site where the fort stands today is known to be inhabited since the last 5000 years, as the legend says it used to be the legendary city of Indraprastha. There is a lake where you can do boating. Photography: Allowed; video filming is chargeable. Distance: approximately 1.5 km from Khan Market metro station. How to get there: Walking, auto rickshaws are available. Now board the metro again from Khan Market station and move towards Kalkaji Mandir metro station. Alight at Kalkaji Mandir Station. This metro station is ideal for touring 2 major religious places which are at close vicinity to each other, i.e. the Iskcon Temple and the Lotus Temple. The Iskcon temple is dedicated to lord Krishna and it is a place of worship for the followers of the International Society of Krishna consciousness or as they are known as the Hare Krishna Movement. Distance: Very close to Kalkaji Metro Station. Timings: 4: 30 a.m. to 1:00 p.m. & 4:00 p.m. to 9:00 p.m.
Time required exploring: 30 minutes to 1 hour. An important landmark of the city, the Lotus temple is a magnificent architectural feat which is flocked by people of all religions and it is a wonderful example of openness and equality practiced in India. Photography: No photography is allowed inside the prayer hall. Timings: 9:00 a.m. to 7:00 p.m.
Now board the metro again from Kalkaji Mandir and move towards Tughlakabad Metro Station. Built during the early part of the 14th century by Ghian-ud-din Tughlaq this fort is wonderful place for adventure and history lovers to explore, the complex houses a few mausoleums of erstwhile rulers of Delhi. Distance: approximately 5 km from Tughlaqabad metro station. Timings: Open from 8:00 a.m. to 6 p.m.
How to get there: Auto rickshaws and cabs are available. After the visiting Tughlaqabad fort, board the metro again and move back towards Central secretariat station, where you can now change from violet line to blue line from Mandi House station. Form Mandi house station move towards Pragati Maidan station. Alight at Pragati Maidan metro station. This monument was built in 1565 A.D. by the wife of Humayun after his death. This tomb was the first garden tomb of India; it is a walled complex which houses a square garden (chahar bagh), a centrally located mausoleum and tombs of several other Mughal rulers. Photography: Photography is free within the complex while video filming is chargeable. Distance: approximately 5 km from Pragati Maidan metro station. Timings: 6:00 a.m. to 7:00 p.m.
After visiting Humayuns tomb return back to Pragati Maidan metro station and board the metro and move towards Akshardham metro station. Alight at Akshardham metro station. The Akshardham temple is a symbol of Indian culture, spirituality and architecture. This is a huge complex which consists of a monument, hall of values, a theatre, boat ride, musical fountain, garden of India and a food court. Entry Fee: The entry into the complex is free but visiting certain areas of the complex is chargeable. Photography: Photography is not allowed within the complex and even mobiles and electronic goods are not allowed within the premises (A cloakroom is available to keep your goods). Distance: Near Akshardham metro station.